Researchers love Biotechnology Calendar, Inc. life science events because we make their goals our priority when planning events. Exhibitors at our events know they are relevant to attendees’ research needs, and we strive to attract lab suppliers who provide the latest and best lab equipment. Because of our pre-show advertising, researchers are informed of when and where our events will be held, and they know that everyone from their lab is invited to attend. Our delicious catered lunches provide a way to break bread with colleagues and exhibitors so that attendees are nourished while they learn about new products and services available to help them meet their high standards for research. Biotechnology Calendar, Inc.’s life science event at the University of Georgia is one lab suppliers won’t want to miss. Our events attract an engaged target audience that attends with the specific purpose of learning about what products and services may benefit their research. The event invitations, program publicity, at-show signage and sponsorship opportunities we provide at the University of Georgia will increase your company’s publicity and brand recognition on campus. At the end of every show, we also make available a leads list so that you can contact researchers whose information you were not able to obtain at the event. The University of Georgia receives a wealth of research money from external funding agencies every year. In 2012, the NIH awarded the University of Georgia $39.4 million. The NSF also gave the University of Georgia $1.2 million in research funding in 2012. That same year, the school’s budget was $1.32 billion. For more funding information on the University of Georgia, please read our blog articles University of Georgia Receives $3M for Bioenergy Research and University of Georgia Life Science Update on NIH Funding. 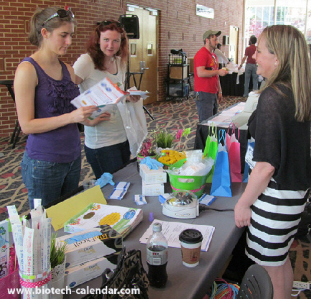 Biotechnology Calendar, Inc.’s life science events at the University of Georgia give lab suppliers the opportunity to sell lab equipment and market their life science products within a well-funded market of researchers. If you are a lab supplier, Biotechnology Calendar, Inc. invites you to attend our Athens BioResearch Product Faire™ Event on February 26th, 2014. Biotechnology Calendar, Inc. is a full-service science research marketing and events-planning company that organizes life science marketing events at top research universities across the country. 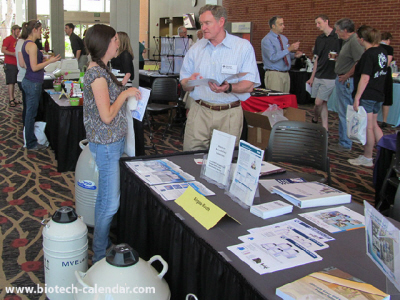 If you are interested in working to sell lab equipment and market your life science products at a university closer to home, we encourage you to view our 2013 calendar of events and 2014 calendar of events. For more University of Georgia life science funding statistics, or to learn more about the Athens BioResearch Product Faire™ Event, click on the button below.